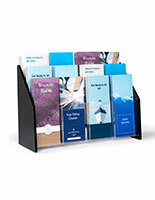 This office paper sorter offers an 8-divider storage box for use at the front desk, at a checkout station, or anywhere in a crowded office. 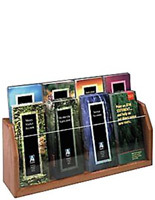 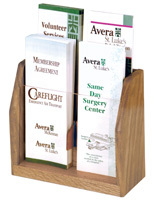 This literature displays system is great for advertising wares and promotions in your office to walk-in customers. This paper sorter, also known as a trifold rack, is affordable, with oak construction and a handsome mahogany finish. 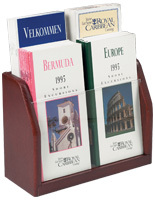 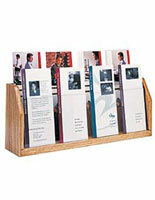 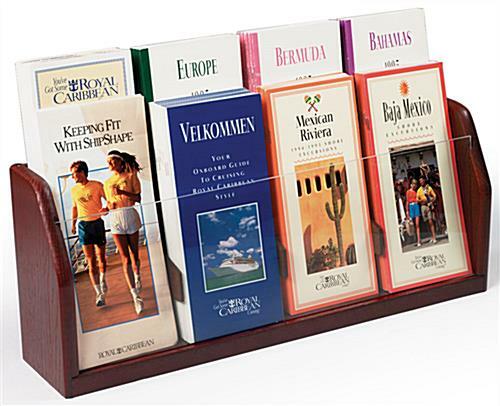 This pamphlet stands fixture is a great organizer for trifold periodicals. 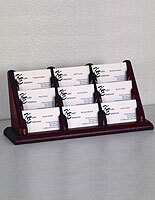 This sorter with eight pockets helps sell your wares and services! 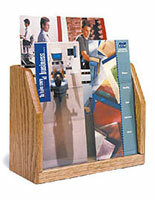 18.3" x 78.0" x 20.0"